Dustin Diamond, aka Screech from Saved by the Bell, has revealed in his new book that the teens on the set of the show were acting like just that: teenagers. Excerpts from the book (revealed in Us Weekly) have cast members hooking up — and toking up — while the cameras weren't rolling. If Kelly [Tiffani Thiessen] was interested in Slater [Mario Lopez] one week, then backstage there was a lot going between them in Mario [Lopez]'s room," he tells the new Us Weekly. "Then, if Jessie [Elizabeth Berkley] kisses Zack, then you know Elizabeth Berkley is going in Mark-Paul's room. Also, Dustin reveals he could smell a certain "smoke" coming from his castmates' dressing rooms. 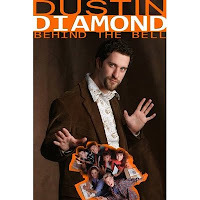 Dustin's new book, Behind the Bell, hits the stores on Tuesday, Sept. 29.